Happy Monday and Happy Black History Month! A few months ago (October to be exact), Reebok teamed up with fashion label Pyer Moss for a collection that was all about using artistry and clothing to make powerful statements about blackness in America. For his Fall/Winter 2018 offering, the mind behind Pyer Moss - Kerby Jean-Raymond - teamed with Reebok for a visual concept ad that acted to both challenge the preconceived "norm" of being Black in America and shatter the idea of some that American history itself is strictly derived from white influence. The campaign, and subsequent clothing/shoe drops were all centered around one mantra: AS USA AS U.
Pesonally I loved the collection and planned on grabbing a few items to support when I received a dope package courtesy of my Reebok homies with a stunning pair of Pyer Moss Reebok Daytona's. Instantly I was in love and felt it was only fitting, given the overall sentiment of the collection, to rock these proudly on a trip to the Dallas African American History Museum for an exhibit that I'd been very eager to see. I headed to the museum on what was a semi-warm December day in Dallas. Because I knew I'd be hitting a coffee shop to work after checking out the exhibit, I wanted to stay a bit on the cozy side while keeping things a bit muted so the shoes had a chance to speak for themselves. I'm a firm beliver in the joy of bodysuits and this Naked Wardrobe mock neck long sleeve suit is one I've had for a few years now. My exact one is sold out but, you can grab a similar (and less pricey, FTW) option here. I actually wore these Champion joggers back in September for the panel I spoke at so, it's pretty safe to say they've become a casual favorite. They're also very budget friendly. I paired my bodysuit and joggers with the DMX Daytona Experiment which is the second shoe in the Reebok by Pyer Moss Collection. This classic from the Reebok archives is not only one of Reebok's most iconic silhouettes from the 90’s but, the DMX Daytona is one of the few sneaker redesigns of 2018 that isn't completely lost in the change up. 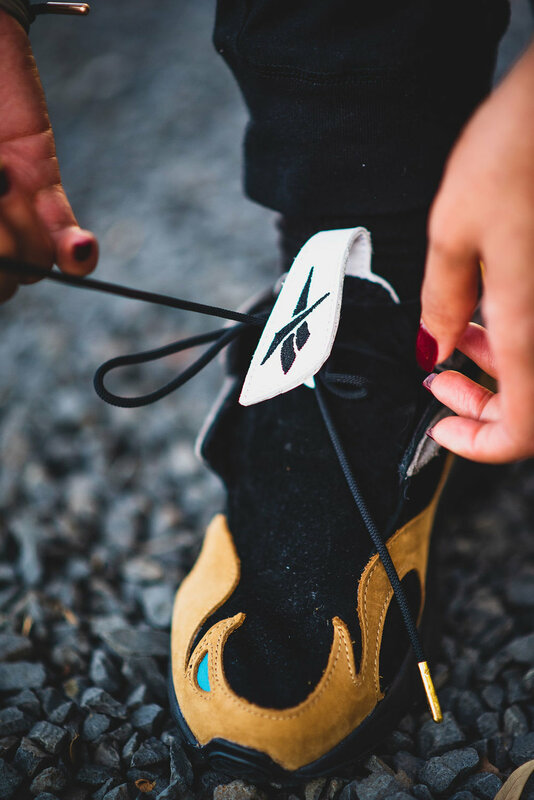 While the material makeup of each colorway varies, the signature details include an asymmetric upper, molded heel tab, shroud construction to hide the laces and magnetic tongue clip stamped with the Reebok Vector logo. Be on the lookout for Experiment 3, dropping in 2019. Since we shot in December, I've pulled these out for a few runs around the city and they always seem to be a convo starter. Viewing and spending some real time at the AA Musuem for the "Slavery at Jefferson’s Monticello: Paradox of Liberty," exhibit was one that really struck a chord with me. 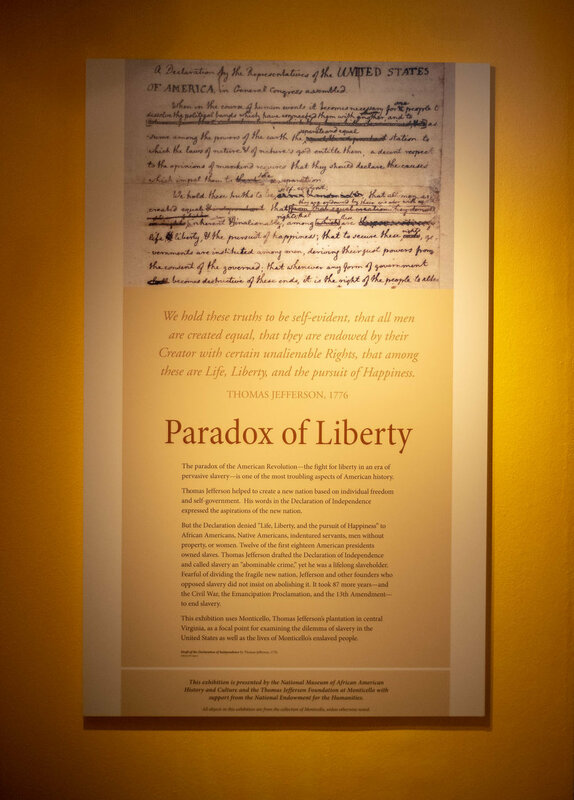 The exhibit uses Monticello, the home and plantation of Thomas Jefferson, to explore the dilemma of slavery and the lives of enslaved families and their descendants. Jefferson owned over 600 slaves through the course of his lifetime. Over 300 objects were on display including works of art, documents, books from Jefferson's first edition library, and even a chess set that was crafted to feature the faces of native African men and women as the chess pieces. Never-before-seen items were on display, as well as a special feature on Sally Hemings, one of the most famous African American women in American history and mother of at least six of Thomas Jefferson’s children. Honoring history starts with paying attention and being grateful for a past that has very much shaped your present and one that is currently shaping your future. It was an honor to view this exhibition and a true reminder of just how much, even through oppression and degredation, we shaped and built this country. AS USA AS U, basically. DISCLOSURE: I was provided with items for an honest review. All thoughts and opinions expressed herein are my own and not influenced by the brands mentioned above, and/or their affiliates, in any way. In addition, in the full spirit of disclosure, some links referenced above are affiliate links which means that CNKDaily may get a commission on anything you decide to purchase. We only recommend products and systems that we use and love ourselves so we know you, our readers, will receive the best experience possible.